Your one stop business shop! 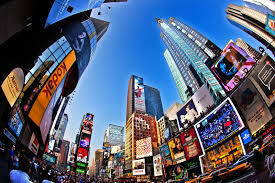 Signage is an important part of how businesses interact with their customers. Signs provide relevant, information about your business and the services being offered. From banners, window and vehicle lettering, A frames, marquees and back-lit signs, using state of the art LED technology, Copycats is a custom sign design company that provides you with dynamic solutions for communicating with customers. Office equipment from desktop models to high-volume, multifunction machines. Offering copying, printing, scanning, faxing and email features. From black and white to color equipment, we sell new and reconditioned models. Leases and rentals available. With over 30 years of experience, let our sales team provide a cost-analysis to save money on office equipment. Call for your FREE Cost Analysis today!​. Are you in need of quality printing services? You've come to the right place. Our goal is to cater to all of your printing needs. Whether you're looking for business cards, brochures, forms, or looking to create flyers to promote your company, our dedicated team is at your service and ready to discuss and create your project in detail. Promote your business with custom silk screen printing and embroidery on all types of apparel using your logo and business name. From T-shirts and sweat shirts to hats, hoodies and jackets, Let Copycats custom design and complete your order. We have a wide selection of apparel to choose from or feel free to bring in your own. From design to our free local delivery services, Businesses across Rhode Island trust us with their apparel needs. Showcase your brand and name on a sweatshirt or hat with quick turn around. We can handle all of your IT needs, Our trained A+ certified technicians can assist you with any type of PC or Laptop repair. Everything from sales, upgrades, virus removals, security, custom built computers and more. We can also manage your network, active directory, servers, and much more. Remote assistance is available as well as service contracts. Keep your PC's running efficiently without disrupting your work day! We also offer Resume Services, Faxing, Binding, Business Cards and much more! 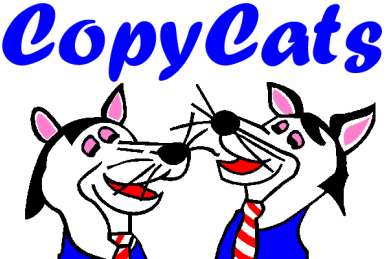 Stop in today to see what Copycats can do for you!